Do you wish that you could express yourself through quilting? Are you an experienced quilter but you really wish you could have the bravery to jump into art quilting? Do you look with envy at the art quilts of others and wonder how in the world they come up with their ideas? Are you a beginner and want to learn how to make simple but beautiful quilts for you family and friends? Would you like to feel more confident in your abilities and improve your skills? I have been sewing and quilting for years and find great joy in creating my designs. I also have been a teacher for years and love showing others how to better achieve their goals. When you sign up for my popular e-newsletter you’ll gain access to resources and opportunities through my website. Watch some of the free videos and lessons from the above menu and get a taste of my teaching style. sign up below to get updates, bonuses and news of when we will open up enrollment. 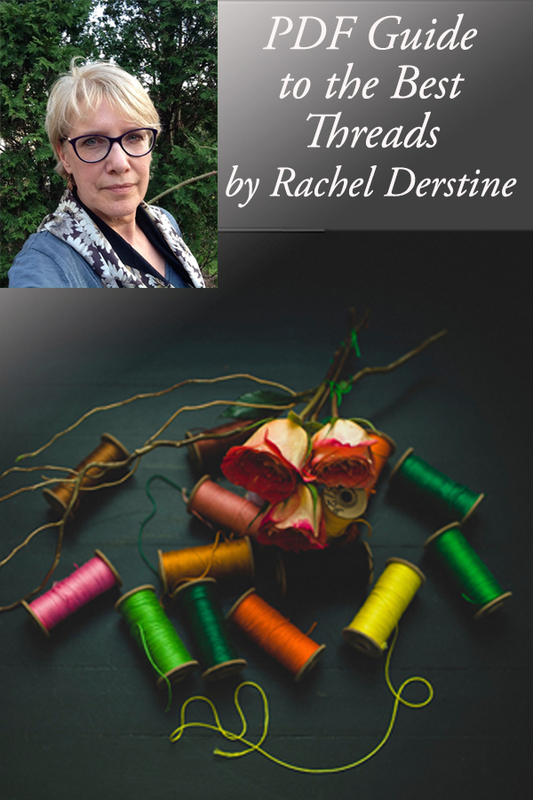 Get your Bonus PDF Guide to the Best Threads now!